Sloyd Web Shop » Manufacturers » Thinkfun » Mathdice Jr. Roll the 12-sided Target Dice to obtain your target number, then roll the five 6-sided Scoring Dice. Using addition and/or subtraction, combine the Scoring Dice to match the target number, moving one space on the track for every Scoring Die used. The first player to reach the finish line on the scoring track wins! 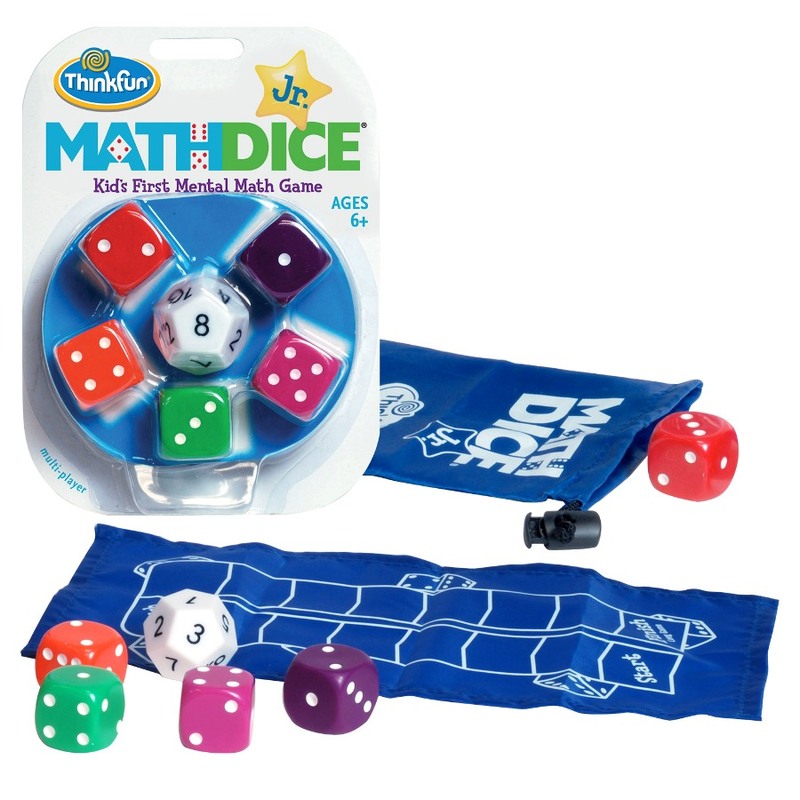 Simple rules and chunky, brightly colored dice make it fun for all ages and all math levels. This product was added to our catalog on 07.11.2012.